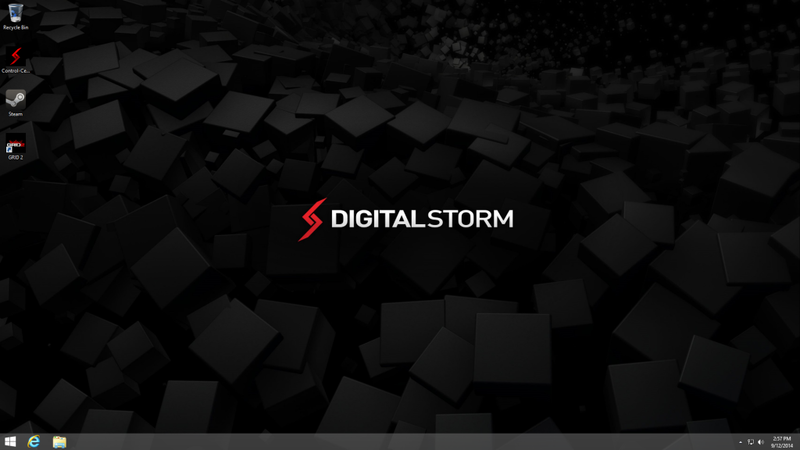 Digital Storm is a company well known for pushing the limits of high-end desktops. While they have a variety of different models, only two fit into the ‘slim’ Small Form Factor (SFF) category. 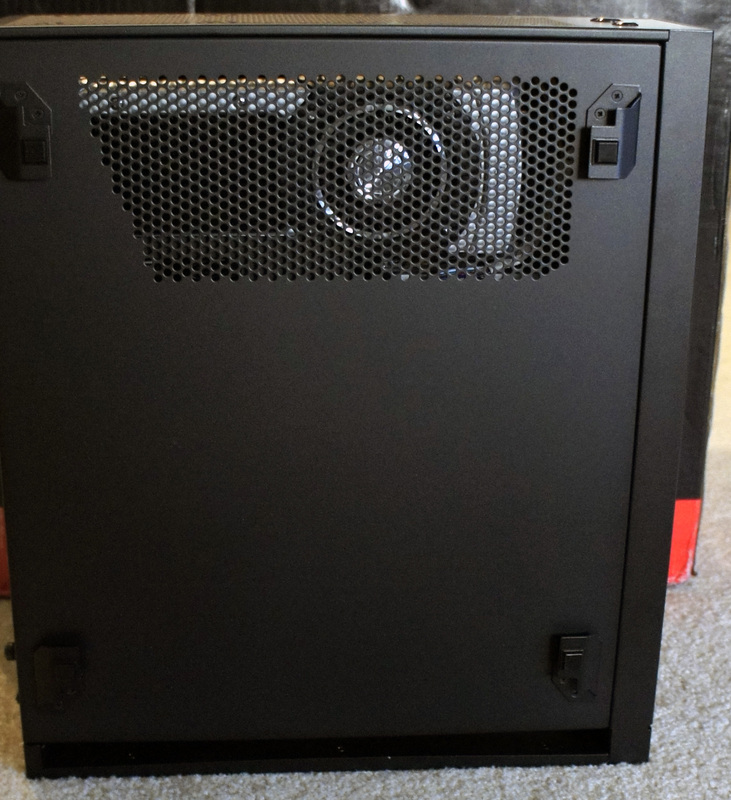 Whereas the Eclipse is the entry-level slim SFF PC designed to appeal to those working with smaller budgets, the Bolt is the other offering in the category, and aims much higher than its entry-level counterpart. I had the opportunity to review the original Bolt when I still wrote for BSN, and I loved it, though there were a few design decisions I wanted to see changed. 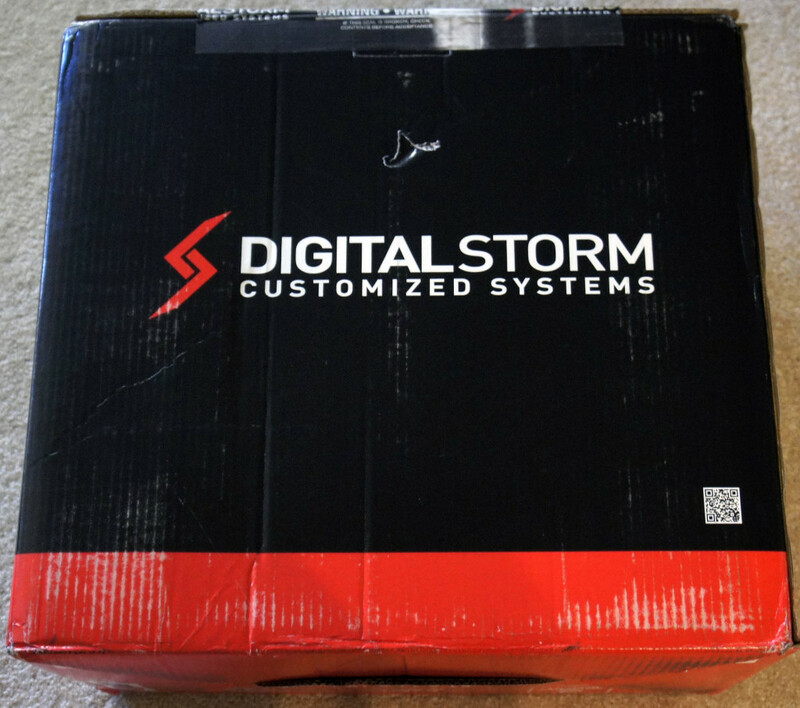 Today I’m taking a look at the Digital Storm Bolt II. The successor to the original Bolt, it has undergone a variety of changes when compared to its predecessor. 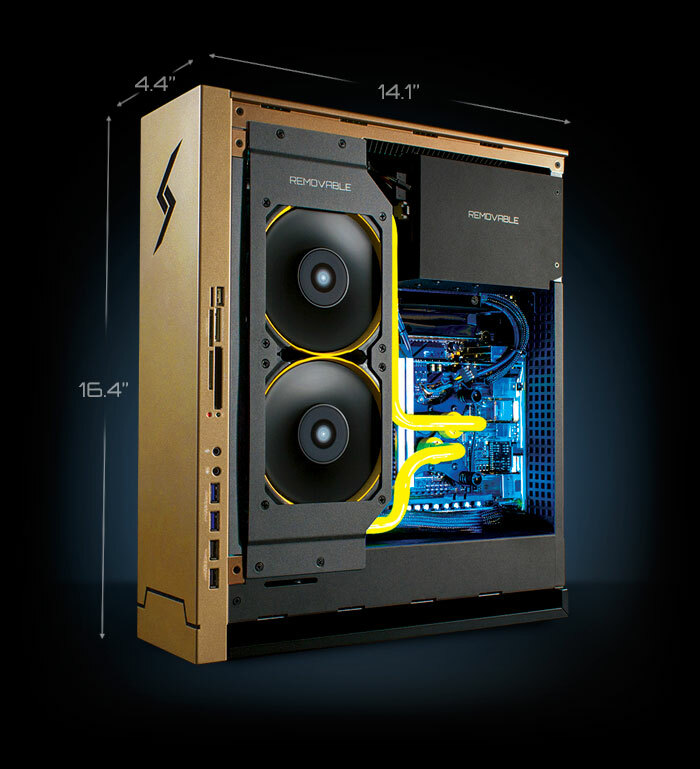 Two of the most common complaints with the original were addressed; the Bolt II now supports liquid cooling for the CPU (including 240mm liquid coolers), and the chassis has been redesigned to have a more traditional two-panel layout (as opposed to the shell design of the original). This system is pretty impressive considering how small it is. The Bolt II measures 4.4″(W) x 16.4″(H) x 14.1″(L), or for our readers outside of the US, approximately 11cm(W) x 42cm(H) x 36cm(L). The Bolt II ships with Windows 8.1, but also comes with Steam preinstalled with Big Picture mode enabled, due to the fact that the Bolt II was originally slated to be a hybrid Steam Machine (Windows and Steam OS dual boot). 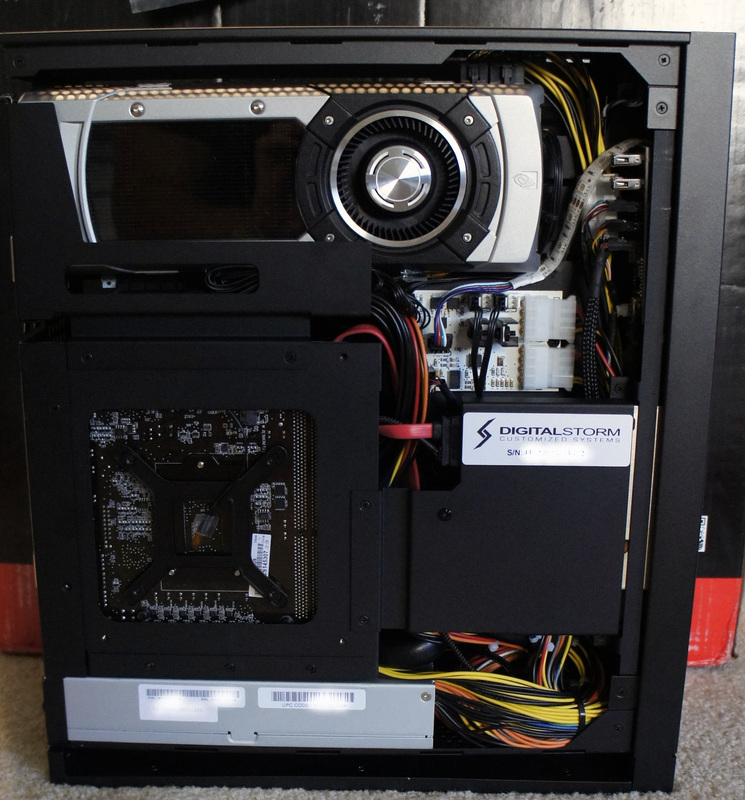 Since Steam Machines had yet to materialize, the Bolt II shipped as a gaming PC designed for the living room, including feet attached to the side panel so the system can sit on its side. However, this design decision also makes sense of one of my largest annoyances with the computer; the front panel I/O ports are all on the right side of the chassis, near the front, at the bottom. If the system is stood up as one would typically have a desktop, the ports are moderately inconvenient to access. Conversely, if the system is placed on its side in a living room setting (such as under a television), the ports are perfectly accessible. Digital Storm mentioned to us that once Steam Machines are ready to roll, they’ll be shipping the Bolt II as it was originally intended: as a hybrid Steam Machine. Luckily for us, Steam Machines are coming out this March, so expect to see some hybrid systems from Digital Storm soon. 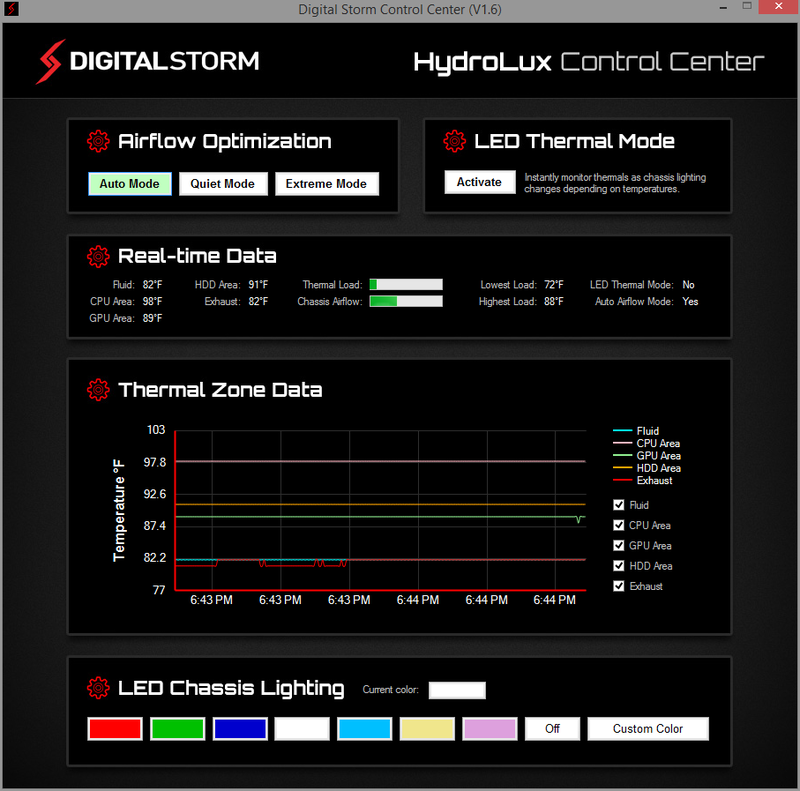 The Digital Storm Control Center is a custom piece of software for Digital Storm PCs designed to manage a system’s cooling and lighting and provide metrics for the user. Much to my surprise, the software is designed and coded in-house, which explains the level of polish and quality the program possesses (as opposed to other companies that rely on 3rd party developers located in Asia with software solutions that often prove underwhelming). 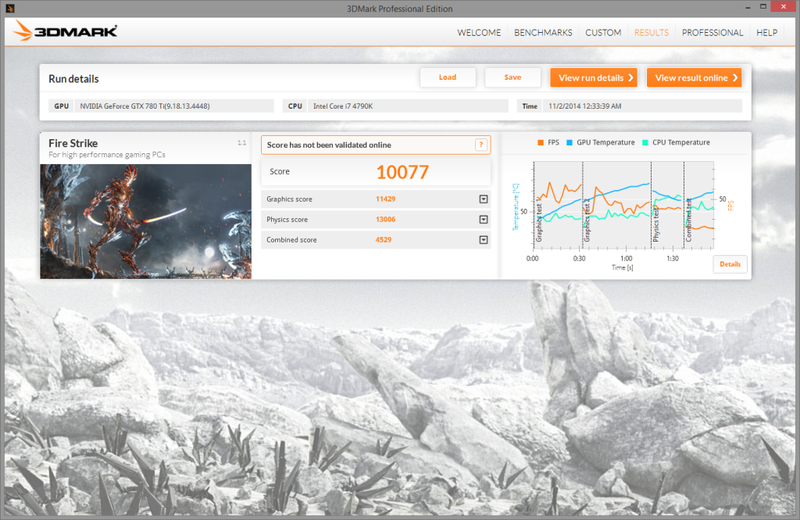 Starting with 3DMark’s Fire Strike, the Bolt II managed a score of 10077. Running 3DMark’s Fire Strike in Extreme mode, the system scores 4932. 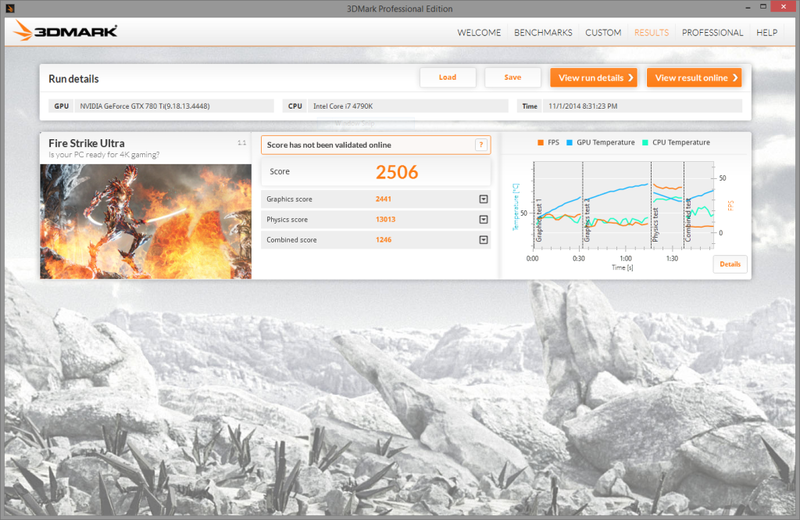 Rounding out 3DMark’s Fire Strike is Ultra mode, with the Bolt II getting a score of 2506. In PCMark 8, the Bolt II scores a 4591 when running the Home benchmark. 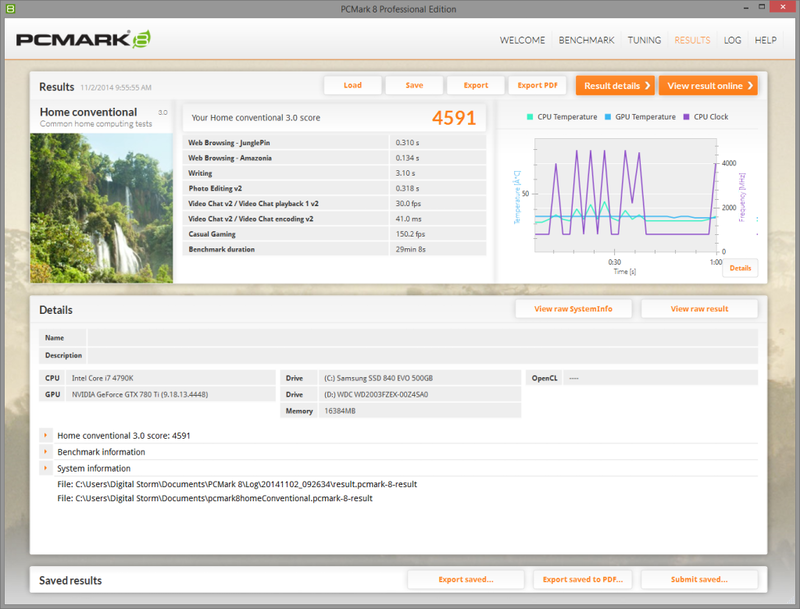 The other benchmark in PCMark 8 I ran was the Work benchmark, which had the Bolt II scoring 3877. 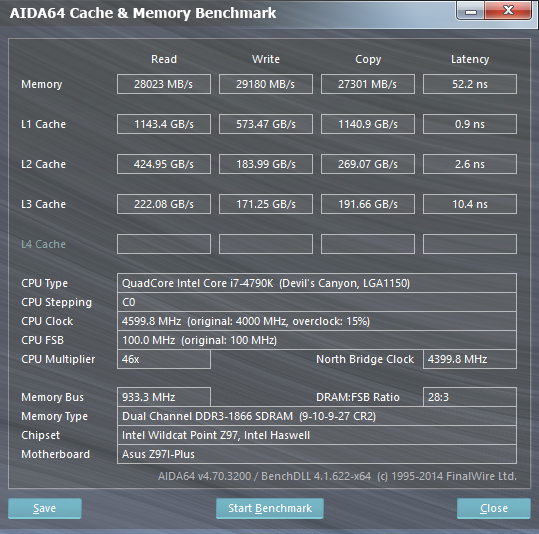 The AIDA64 Cache and Memory benchmark yielded a Read of 28023 MB/s, Write of 29180 MB/s, Copy of 27301 MB/s, and Latency of 52.2 ns on the Memory. The system got a Read of 1143.4 GB/s, Write of 573.47 GB/s, Copy of 1140.9 GB/s, and Latency of 0.9 ns on the L1 Cache. 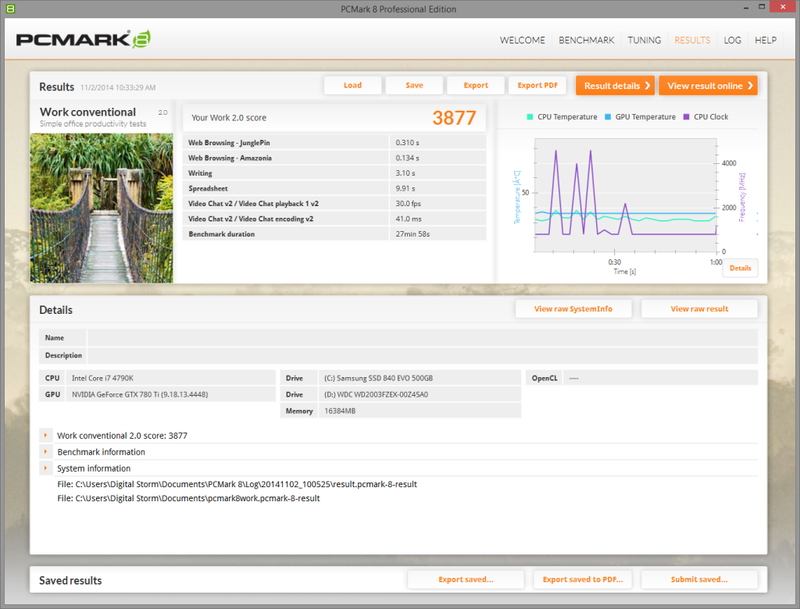 It scored a Read of 424.95 GB/s, Write of 183.99 GB/s, Copy of 269.07 GB/s, and Latency of 2.6 ns on the L2 Cache. Finally, it produced a Read of 222.08 GB/s, Write of 171.25 GB/s, Copy of 191.66 GB/s, and Latency of 10.4 ns on the L3 Cache. 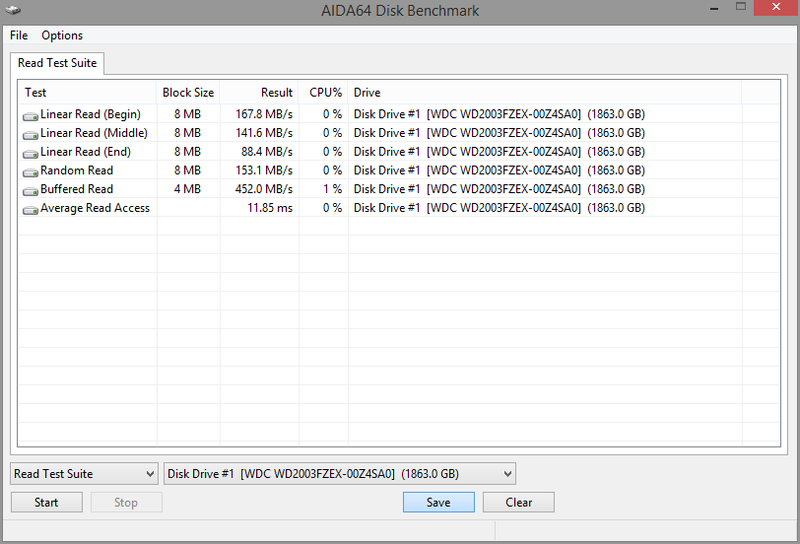 The AIDA64 Disk Benchmark was then run on both the Samsung 840 EVO SSD and the Western Digital 2 TB Black Edition HDD. 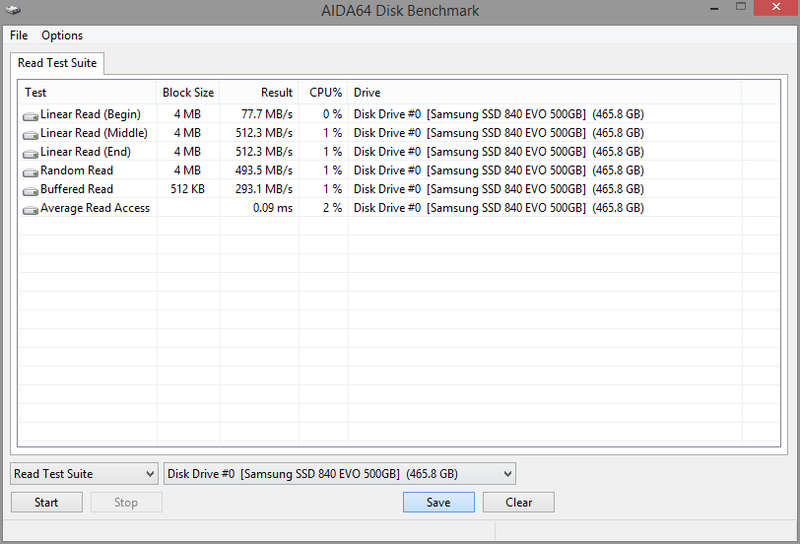 The Samsung 840 EVO SSD yielded an average Read of 378 MB/s across 5 different tests, and a latency of 0.09 ms. The Western Digital 2 TB Black Edition HDD yielded an average Read of 201.5 MB/s across 5 different tests, and a latency of 11.85 ms. Starting off with Sleeping Dogs: Definitive Edition, the benchmark was run using the settings listed in the screenshot, and it scored an average FPS of 51.8, a maximum FPS of 66.6 FPS, and a minimum FPS of 32.5. Even when maxing out the game settings at 1080p resolution, the system maintains very playable framerates, which would look even better when paired with a display that utilizes FreeSync or G-Sync. 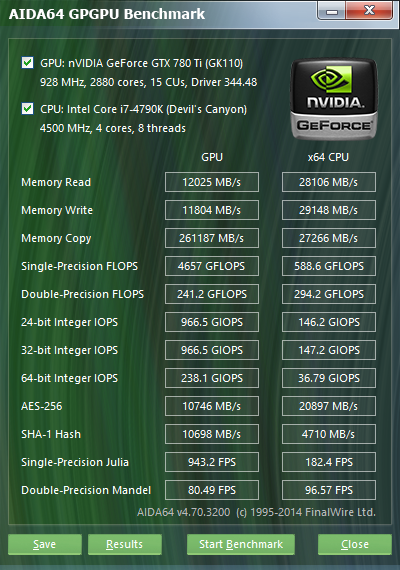 In this case it would have to be G-Sync since this Bolt II configuration utilizes an Nvidia GPU. Next up is Far Cry 4. I replayed the liberation of Varshakot Fortress in Outpost Master. Rather than use Nvidia’s GeForce Experience optimized settings, which should theoretically provide the best overall experience, I cranked the game settings to Ultra at 1920×1080 resolution. 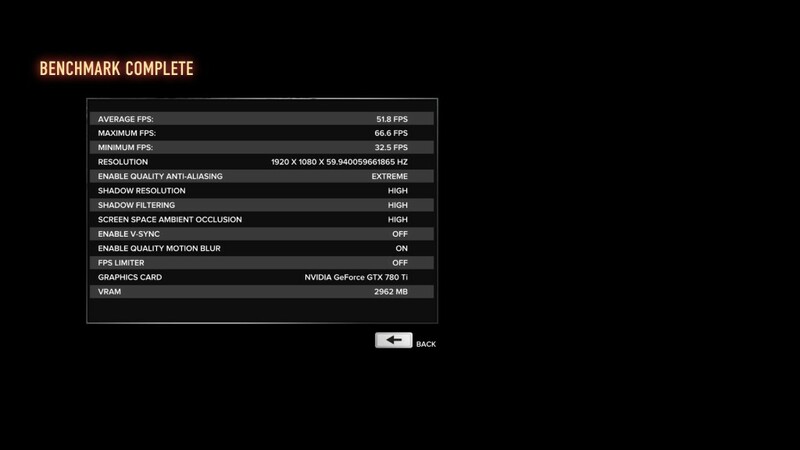 The game was very playable and smooth, getting an average FPS of 82.6, a maximum FPS of 665 FPS, and a minimum FPS of 56. Moving on, I tested out Assassin’s Creed Unity, now that most of the bugs have been sorted out. I ran Unity at the Ultra High setting, 1920×1080 resolution, again ignoring Nvidia’s optimized settings in order to see how the game would run at the top preset. I played through the intro sequence of the game, and excluded cutscenes. The game was certainly playable, and oftentimes smooth, though there were occasional framerate drops and a tiny bit of noticeable tearing. The game had an average FPS of 38, a maximum FPS of 53 FPS, and a minimum FPS of 19. This would have also gotten some benefit from a FreeSync or G-Sync enabled display. Clearly the Bolt II is a very capable system, and the fact that it’s available in a variety of customizable configurations to better fit the needs and budget of the consumer is a plus (it can be configured as low as $1100, or as high as $7800 excluding any accessories). Though I was impressed with the original Bolt, the Bolt II is a clear improvement in every way. Whether or not the cost of the Bolt II is a good value is something that has to be determined by the consumer. Would it be cheaper to build yourself a PC with identical performance? Absolutely, even when building with the same or similar components. 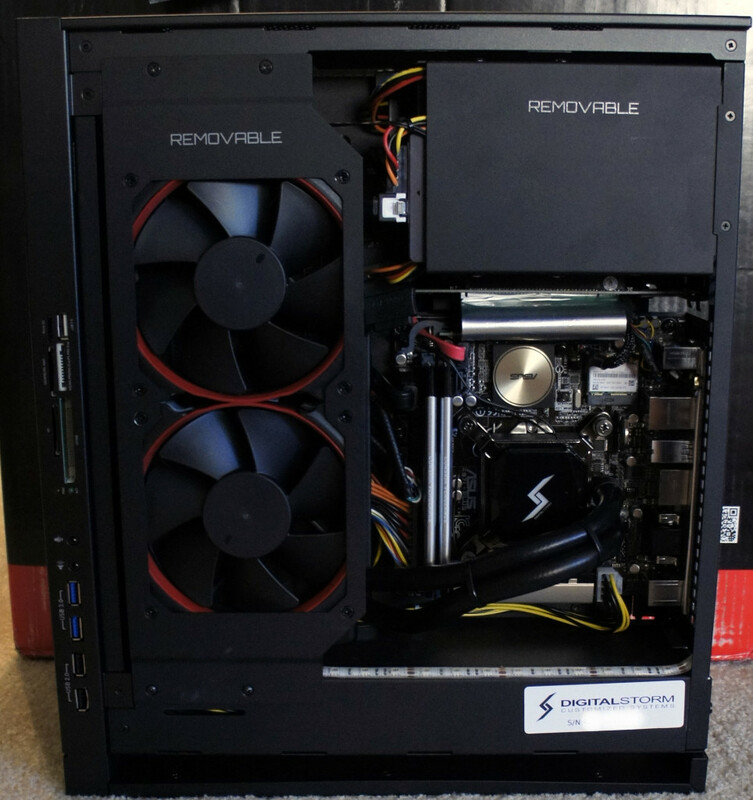 However, there are a few things that make the Digital Storm Bolt II stand out from a home-built PC. First is the form factor. The Bolt II uses a fully custom chassis designed by Digital Storm, so no one building a PC at home can build into a chassis with the same dimensions. Most mini-ITX systems won’t be anywhere near as slim. Second is the warranty and guarantees of build-quality and performance of the system, which you can only get by purchasing a PC from a reputable company with a solid customer service record. Third is the convenience. 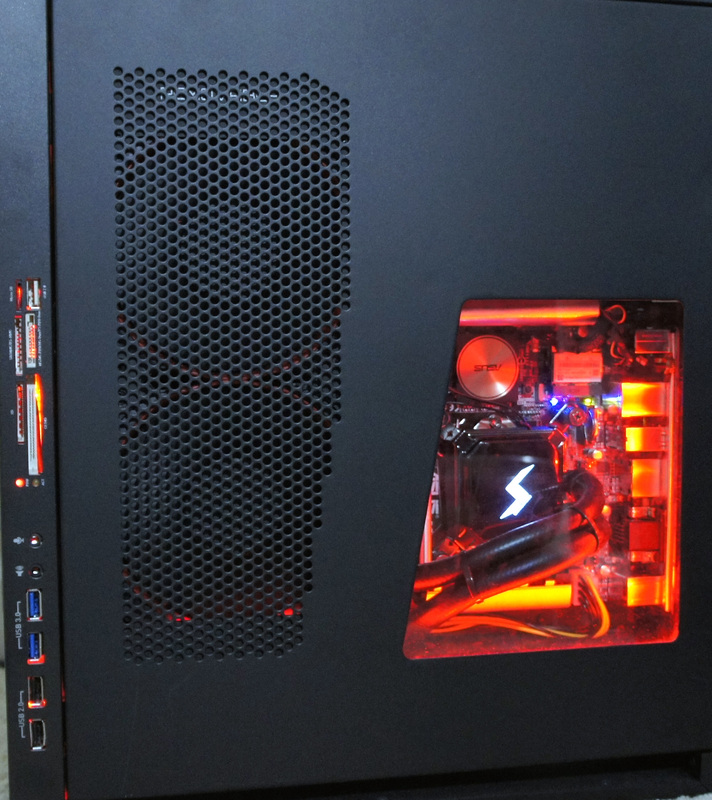 The Bolt II comes prebuilt, with the OS and drivers installed, and can also include a stable overclock verified by Digital Storm, custom lighting and cooling, as well as cable management. All of these factors sure makes building your own seem like more pain than it’s worth. When compared to other system builders with similar SFF systems, the Bolt II still comes out number one in terms of fit and finish, as well as build quality. The metal chassis and custom design are really impressive, and serve to differentiate the Bolt II from other systems in a way that the Digital Storm Eclipse doesn’t (though that is the budget model of course). If you were to ask me if I would build my own PC or purchase a Bolt II, my answer would probably still be to build my own system. 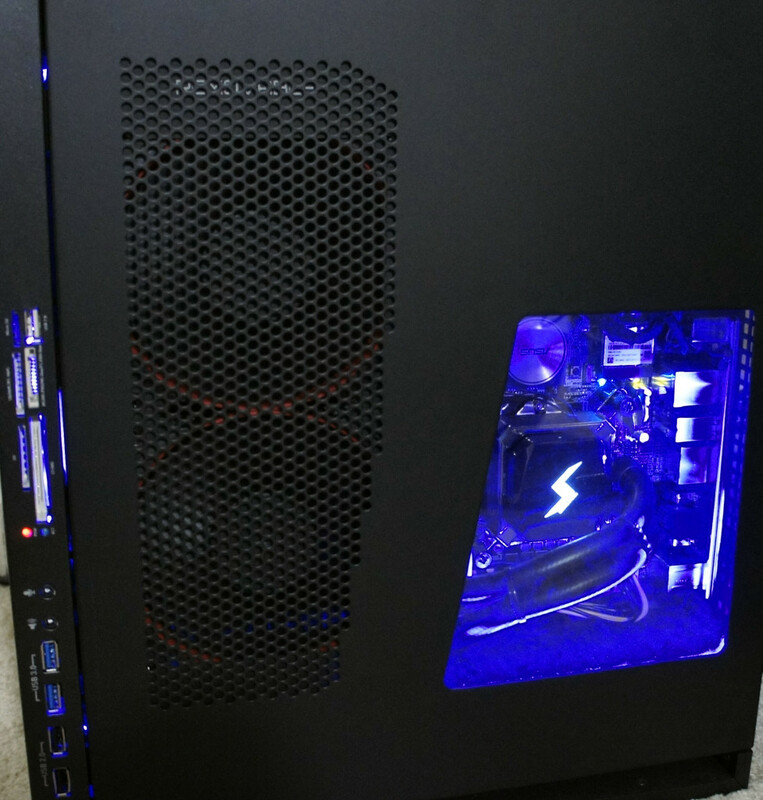 However, this is simply due to personal preference; the form factor is not all that necessary for my current lifestyle, and I value the flexibility of choosing my own components and saving money more than the hassle of putting together the system myself. Despite all of this, were I to need a prebuilt PC with a small footprint, there’s no doubt the Bolt II would be my first choice.